Smart cities need to model the future today | Fleming. The stresses on infrastructure are expected to grow as well. Innovation is an important tool to proactively address the challenges facing cities and identify opportunities for new business models. Today's cities are facing unprecedented challenges in innovative and smart infrastructure. The existing infrastructure has to be taken into consideration to prevent floods, traffic congestion, overcrowding, etc. The Climate change and other environmental issues are pressuring smart cities to be safer and more efficient for people to live and work and new infrastructure innovations have to make a lower impact on the environment. Making cities smart is not just a process whereby technology providers offer technical solutions and city authorities procure them. Building a real smart city requires the development of the right environment for smart solutions to be effectively adopted and used. An important aspect of quality of life is public safety, which is particularly relevant for local governments. Disaster prevention, response, and recovery are of critical interest to all local governments. 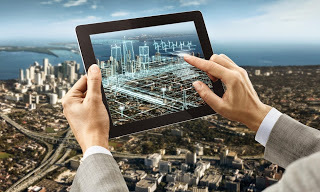 Around the world, engineers and architects, constructors and owner-operators are using Bentley’s software solutions to accelerate project delivery and improve asset performance for the infrastructure that sustains economy and environment. Bentley Systems is a software development company that supports the professional needs of those responsible for creating and managing the world's infrastructure, including roadways, bridges, airports, skyscrapers, industrial and power plants as well as utility networks. Comprised of integrated applications and services built on an open platform, each solution is designed to ensure that information flows between work flow processes and project team members to enable interoperability and collaboration. This smart technology is great, but how does it improve the life of people like you and me? Many investors might think that smart technology is an unnecessary expense, but in fact it creates considerable opportunities for added value in any city. Smart technology helps and will always help to improve the living conditions for citizens. A truly “smart” city increases in efficiency and generates new opportunities for the city and its people. To get a lot of connected devices to work together is not easy. Interoperability is essential.